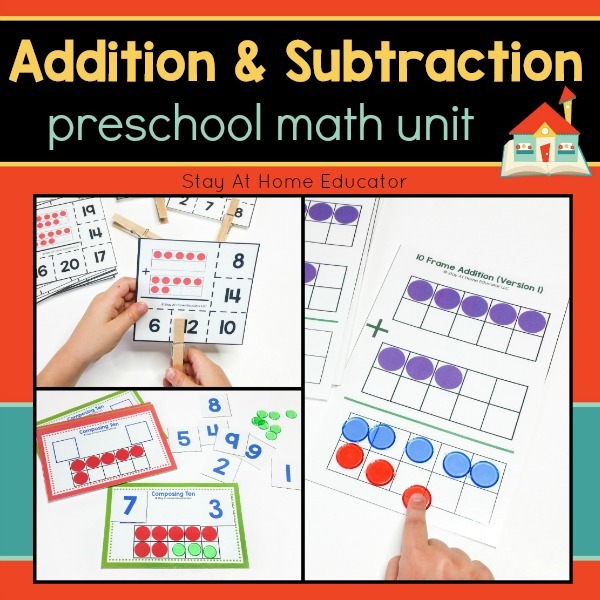 This Preschool Math Curriculum is designed to teach your preschooler all five disciplines of math without the boring worksheets! 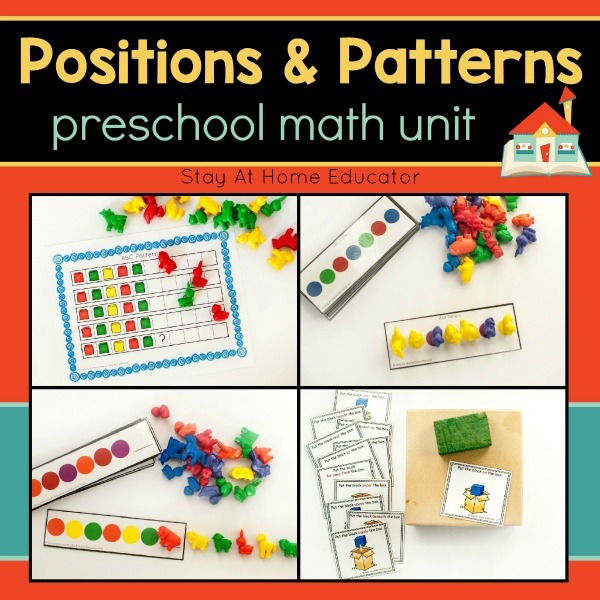 Including nine individual math units, the Preschool Math Curriculum is systematically designed. No need to wonder how to approach preschool math, this curriculum lays it out for you but is flexible enough to be tweaked for the needs of your students. 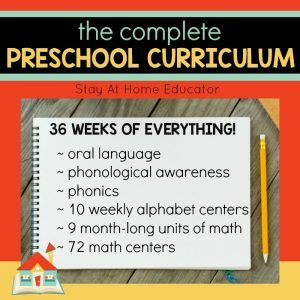 Included are 36 complete weeks of math instruction, featuring over 325 new and unique hands-on activities. 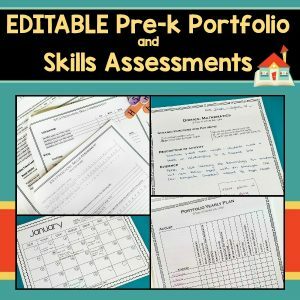 And, that doesn’t even include the 72 printable and reusable centers to support a play-based instructional approach. 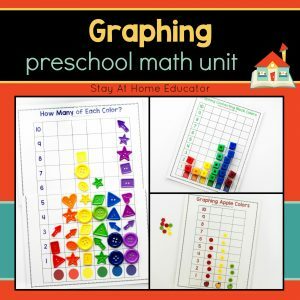 This Preschool Math Curriculum is designed to teach your preschooler all five disciplines of math without the boring worksheets! 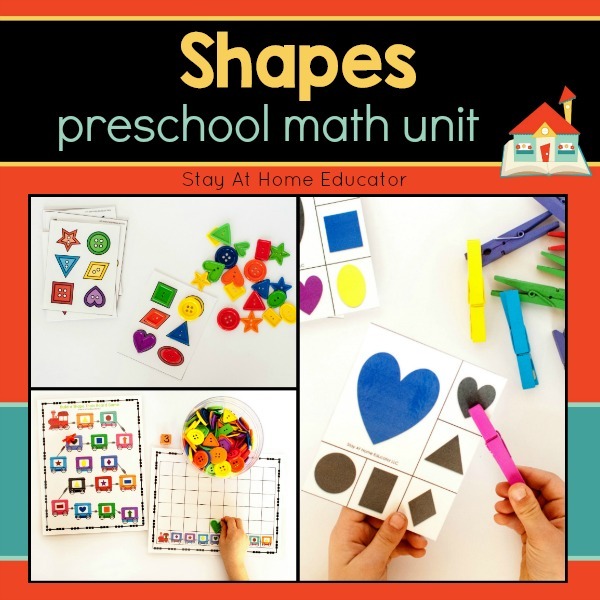 Children enjoy a variety of daily math activities in addition to 72 individual, hands-on and playful math centers! 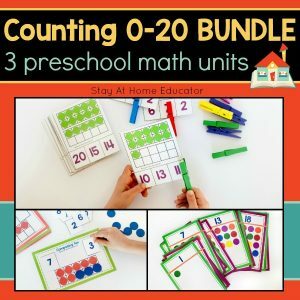 This product is a bundle of all nine math units and includes EVERYTHING YOU NEED to teach preschool math for an entire year! 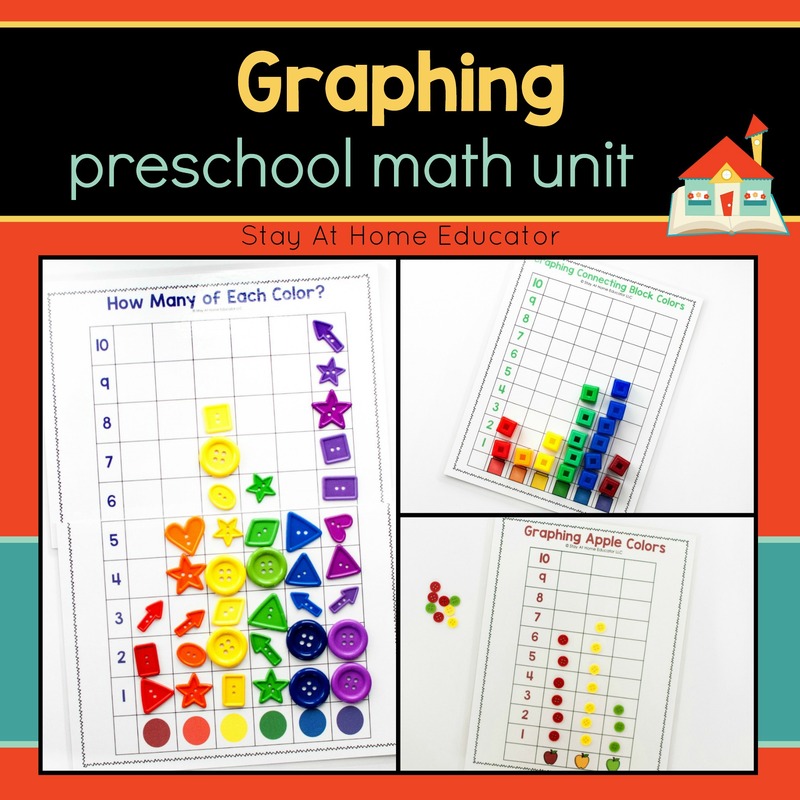 It is systematically designed, allowing you to teach your child or preschool students math in an organized manner. 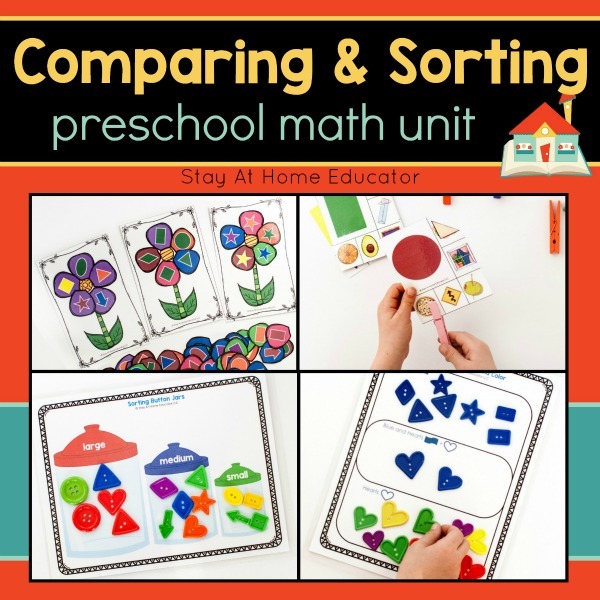 No need to wonder how to approach preschool math, these lesson plans lay it out for you, but are flexible enough to be tweaked for the needs of your students. 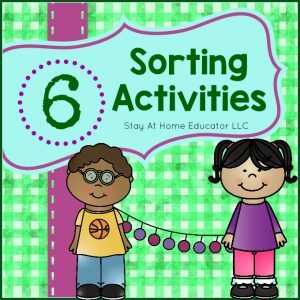 In fact, many of the activities included offer variations based on skill level. 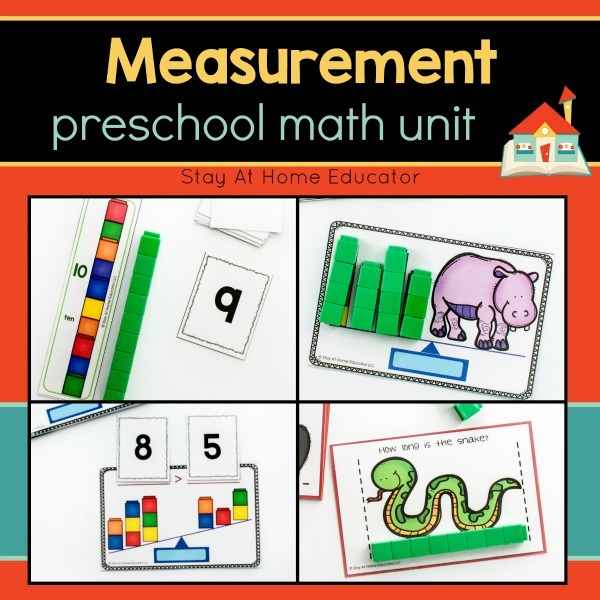 The preschool math curriculum includes 36 weeks of spiraling lesson plans in all five disciplines of math (number sense, algebra, geometry, measurement, and data analysis), with an emphasis on developing number sense skills and counting and number identification up to 20. 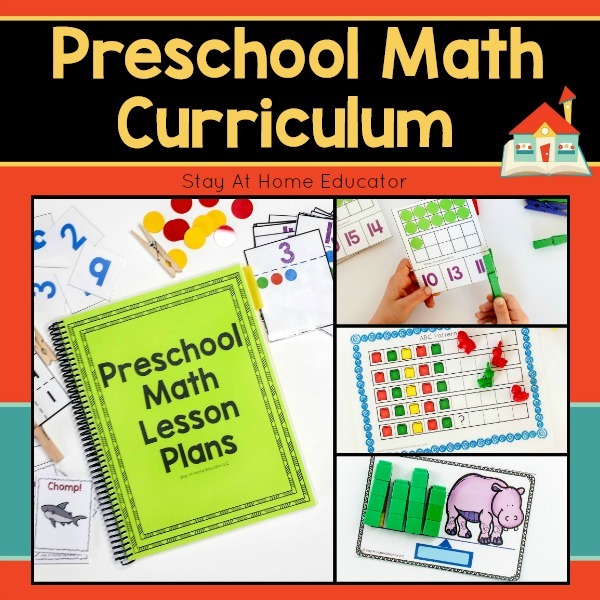 The preschool math curriculum includes a teacher guide for implementing the curriculum in a spiral and unit based approach. 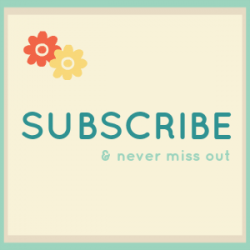 You have the option of teaching each unit at one time, spanning over a month, or you can follow the provided scope and sequence to spiral the curriculum. 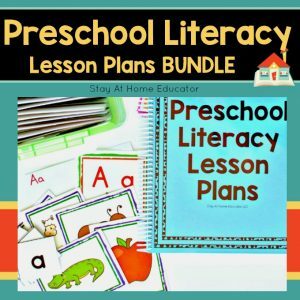 While these lesson plans are written for a two day a week program, with over 30 hands-on math activities per month there is plenty for teaching in a five day a week program as well.